I've always enjoyed reading novels by Daphne du Maurier and Georgette Heyer. Sandra Byrd takes the same theme and style from them and then makes it her own. This is this first book I have read by Sandra Byrd, and it won't be the last. I was intrigued by Rebecca's plight. Englishwomen have a certain attitude and disposition that she must adhere to, and Sandra Byrd pulls this off extremely well. The mystery is something that is slowly built into a vibrating tension. The red herrings and misdirection adds to the complex plot. The romance within grows slowly, with hesitation. Since this is the daughter of missionaries, member of the nonconforming church, and faith is a mainstay to her character, the reliance upon God's direction is a steady and natural part of the story. After reading The Post Card and enjoying David and Rachel's story, I looked forward to reading more about Sam Miller, especially since his scene at the end of the story. He is a passionate and reckless man. Abigail is a sweet and bewildered woman, one who feels as though she wasn't loved, not even by God. Sam, on the other hand, approaches his relationship with God just as he approaches a fire that must be fought, with head-on abandon. 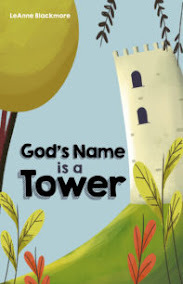 Throughout the book, I saw Sam mature into a beautiful and devout man; while, Abigail became more self-assured and willing to trust God with her future. The story kept me reading up to about the end, and then it seemed rushed. I wished for a little bit more at the end to really keep the emotion high, instead of letting it peter off into a mild and sedate feeling. This was different than what I expected. Compared to other books I have read where the break down of society was evident either through an EMP or dollar collapse, this book ranks high. The present tense first person narrative was refreshing and it seemed to center me in the story and see it through the eyes of Moses and Leora. This is their story. It doesn't matter the cause of what happened. It doesn't matter what the rest of the world is doing or the pursuit to find out. What matters in this story is how they will survive. How does two people from two separate faiths work together for the good of the community? Moses believes, but he has PTSD. He cannot reconcile his faith with his past. 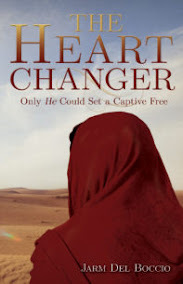 Leora believes, but she has to be in control. 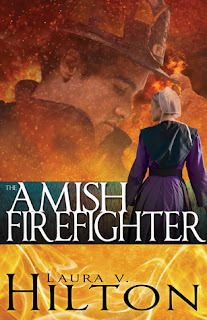 She cannot reconcile her past with her Mennonite faith. Somewhere along the line they learn about trust and compromise, but above all how to have faith that God will provide. This may be an older book, and it think it was a book published before its time. 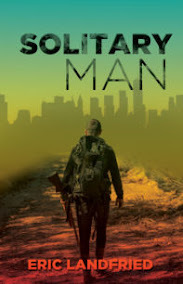 The dialogue and present tense of the character was refreshing and authentic. 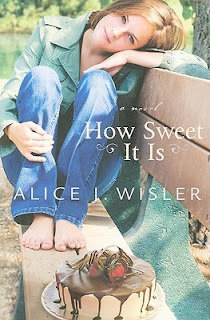 Alice Wisler was able to portray that back and forth emotional state of someone who is sad and brokenhearted. A plus to her character was how she was able to insert an unique and beautiful personality into the story. Deena's emotions, thoughts, and behaviour was truly an accurate portrayal of many people who are like Deena. The slightly sarcastic humour, the truthfulness about jealous, unforgiveness, and self-deprecation are many things that many people read. How many times do we pause in a chore or such because a memory is brought forth? 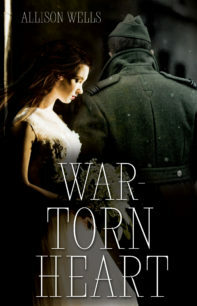 Alice Wisler uses this to her advantage for Deena and the reader is able to learn more about what happened in the past. A very good utilization of that skill. If you haven't read If I Run, that's okay, but you would lose a little bit of the story and some parts of this book wouldn't make sense. I like books that run in a trilogy where book two picks up where book one left off, and book three picks up immediately after two. (Waiting patiently for book three). 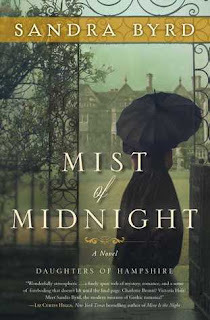 Terri Blackstock delivers another wonderful story that kept me reading into the early morning hours and turning the pages to see what would happen. 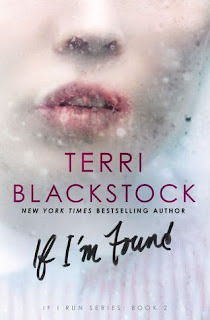 With If I'm Found, the small story plot that Casey finds herself involved in isn't as intimate as the previous book. She is more of that outside observer who makes a difference through secondary resources. Again, I am enjoying a character who is feminine and yet not helpless. Casey Cox is portrayed as a strong Southern woman who doesn't cower before an adversary. I can't help but feel my heart speed up with every close call. I'm always on the look-out for a good pirate story. M.L. 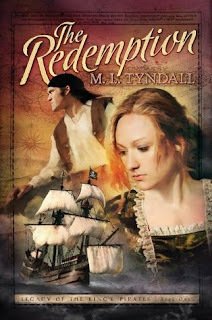 Tyndall delivered a great pirate turned privateer novel. 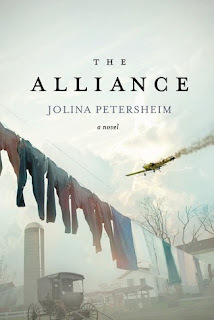 While the action scenes and character interactions in The Redemption kept me riveted, there were pros and cons to the book. 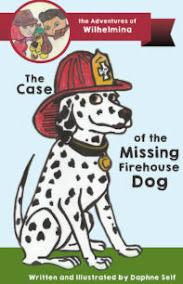 The book had well developed characters, ones that grew and changed over the course of the story. The plot allowed for a little leeway in how a pirate could be a Christian. He became a privateer hired to root out the enemy ships and "relieve" them of their cargo. This made sense for the mid 1600's when Britain and Spain were at war and Jamaica was a crossroads for them in the Caribbean. Historical facts were evident. The setting strong and detailed. The fights scenes, although not as detailed as I would have liked, were not glossed over and watered down.